The name of this organization shall be the New York State Court Clerks Association. The object and purpose of this organization is to advance the careers of Court Clerks within the courts of New York State. No member of this organization who is an Officer, Delegate, Trustee, member of a Board of Governors or of an Executive Committee, or of a Standing or Special Committee of any other organization having the same or similar objectives, shall be an Officer, Delegate or member of any committee of this organization. This provision shall not apply to any council with which this organization may now or hereafter be affiliated. Such affiliation or disaffiliation shall be ratified by a two-thirds (2/3) vote at a General Membership Meeting called for that purpose. 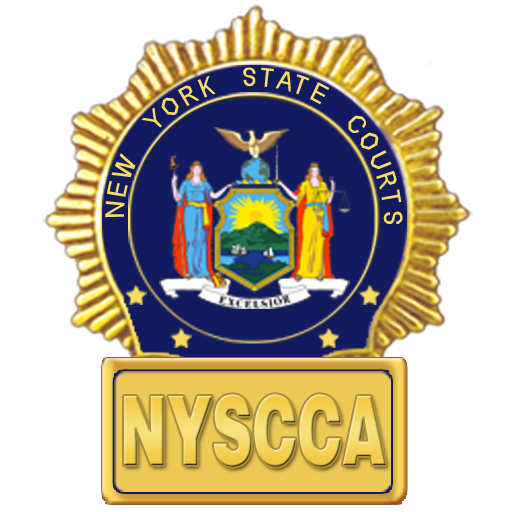 Any title within the Court Clerk Series, within the Courts of New York State, is eligible for membership in this organization as provided by the By-Laws. Applications for membership shall be in writing, in such form as may, from time to time, be prescribed by the Board of Directors. The management and affairs of this organization shall be under the control of the Board of Directors and subject to a two-thirds (2/3) override vote of the membership present at a meeting called for that purpose; however, collective bargaining agreements shall further be approved by a mail ballot of the general membership, after they receive full disclosure of the terms of the proposed contract at a General Membership meeting called for such purpose—mail ballot to go out within one week of such meeting, unless directed otherwise by the Board of Directors, due to force of circumstance. After a recommendation by the Board of Directors a proposed bargaining agreement shall be voted on by the general membership. A majority vote of the general membership shall be required for ratification. The officers shall be a President, First Vice-President, Second Vice-President, Secretary, Treasurer, and Recording Secretary. Each officer shall be provided with a basic annual personal expense account as provided in the By-Laws. There shall be a Board of Directors composed of the Officers and Delegates as follows: Supreme, Surrogate and County Clerk Units. Senior Court Clerk: 3-New York, 2-Bronx, 3-Kings, 2-Queens. Associate Court Clerk: 2-New York, 1-Bronx, 2-Kings/Richmond, 1-Queens. The above to be elected by their respective titles. Richmond – 1 Delegate for Senior Court Clerks to cover the Supreme, Surrogates and County Clerk Courts. Richmond -1 Delegate for Senior Court Clerks to cover the Criminal, Family and Civil Courts. Principal Court Clerks and Trainers (currently line 25) combined – 1 Delegate, IV’s (currently line 28)- 1 Delegate and V’s (currently line 30) – 1 Delegate to be elected by citywide units in their respective titles. Civil, Criminal and Family Court units to be elected by citywide units in their respective titles. Civil – 1 Associate Court Clerk. Criminal – 1 Associate Court Clerk. Family – 1 Associate Court Clerk. N.Y. County – 1 Criminal, 1 Civil, 1 Family. Kings County – 1 Criminal, 1 Civil, 1 Family. Queens County – 1 Criminal, 1 Civil, 1 Family. Bronx County – 1 Criminal, 1 Civil, 1 Family. Except as provided in Article III, and Article XXXIII any member of the organization may serve as President, First Vice-President, Second Vice-President, Secretary, Treasurer, or Recording Secretary. All Officers shall be elected in June of odd numbered years and they shall assume office on July 1st of that year and hold office for two years. All Delegates shall be elected in June of even numbered years and they shall assume office on July 1st of that year and hold office for two years. The American Arbitration Association (A.A.A.) or another independent ballot association shall conduct the election of Officers, Delegates and Trustees. Ballots shall be tallied at A.A.A. offices or another independent ballot association office. Nominees shall have access to all documents relating to election matters. Nominees shall be entitled to monitor and review all processes related to the election. Requests to observe any aspect of the election process shall be made exclusively to the A.A.A. or another independent ballot association. All election papers shall be preserved by the A.A.A. at its offices or another independent ballot association office. Interim election of Delegates shall be under the supervision of the Board of Directors. The results of any and all elections, including the actual vote counts in each election, shall be published in the next available newsletter or in another appropriate association mailing and/or on our association’s website. Any member desiring to run for the office of President, First Vice-President, Second Vice-President, Secretary, Treasurer, or Recording Secretary must do so by presenting a nominating petition signed by fifty (50) members in good standing, including written acceptance of the candidate, to the Secretary, an Officer, or a Delegate during the month of April of the election year. Each petition shall be for one candidate only. Those signing a petition must include their printed last name, court of employment, and date on which they signed the petition. Petitions may be signed prior to April. The Board of Directors shall select a date in June as the election date and notify all candidates prior to May 11th. A list of all members and their court will be given each candidate upon acceptance of the petition. Any member desiring to run for office of Delegate or Trustee must do so by filing a statement to that effect with the Secretary during the month of April of the election year. The Board of Directors shall select a date in June as the election date of each contested unit election and notify all candidates prior to May 11th. If any Delegate’s office shall be vacant through promotion, demotion, resignation or other cause, the Secretary or Secretary’s designee shall notify all members of the affected unit by mail within two (2) weeks. Statements of intent to run for the remainder of the two (2)year term will be accepted in the manner described in Article XV for a period of twenty (20) days from the date of mailing. The election will be held in conformance with Article XIII within thirty (30) days of the end of the filing period. If any Officer’s or Trustee’s office shall be vacant in a similar manner, the President must appoint an Officer or Delegate to serve as an Officer or a member to serve as a Trustee for the remainder of the term within thirty (30) days. If the vacancy occurs after the June election but prior to July 1st, the election results must be implemented. Only an Officer, Delegate or Trustee eligible as of July 1st may be appointed by the President to fill the vacancy. If the office of the President is vacated, the position must be offered to the remaining Officers in the order prescribed in Article VII. Members of committees shall serve without compensation except that they shall be reimbursed for expenses as provided in the By-Laws. The revenue of this organization shall be derived from membership dues and such other sources as may be approved by the Board of Directors. Membership dues shall be collectible by check-off, payroll deduction, or direct payment, in such amount as may be recommended by the Board of Directors, and approved by two-thirds of the members present and voting at a general or special membership meeting. Expenditures shall be made under the control of the Board of Directors to advance the purposes of the organization, and all checks shall be signed by two Officers. An annual financial report shall be mailed to all of its members within five months after the end of its fiscal year as required by 12 NYCRR 550 and in accordance with the standards set forth in the applicable statues and regulations. The Annual General Membership Meeting shall be held in October. In years where there is an election for Officers of this association, an additional General Membership Meeting shall be held in May. The agenda shall allocate time for candidates to address the membership and answer questions. The President or a majority of the Board of Directors shall call a Special Membership Meeting whenever necessary. A Special Membership Meeting shall be called upon a petition signed by seventy-five members of the Association and presented to any member of the Board of Directors. The petition shall set forth the agenda of the Special Meeting. Upon receipt of the petition, the Board shall verify the signatures thereon and shall have thirty days from its receipt to call a Special Membership Meeting. The agenda of the meeting shall be restricted to that set forth in the petition, or that portion found to be constitutional by the Board. Any ruling by the Board that the petition is rejected for lack of seventy-five legal signatures or that part or all of the proposed agenda is unconstitutional shall be reported to the member who presented the petition on the work day following the Board Meeting, by a member of the Board chosen by the President. At any Membership Meeting, 75 members present shall constitute a quorum. The Secretary shall cause notice of any Membership Meeting to be given, in writing, at least ten days prior thereto. There shall be such committees appointed by the President and approved by the Board of Directors as may be required in the conduct of business, except as provided in Section 12 of the By-Laws. Any Officer, Delegate or Trustee of this organization may be the subject of impeachment proceedings by the bringing of charges. An Officer or Trustee may be brought up on charges by petition signed by one hundred (100) members of this association. A Delegate may be brought up on charges by a petition signed by fifty (50) members of their election unit or by one half the members of their election unit, whichever is the lesser. The charges must be specific and confined to those charges for which impeachment proceedings may be brought under this Article. In addition, the petition shall set forth the names of three (3) members who appear before the Board and prosecute the charges. Any action which seeks to divert individual members or groups of members from the organization. Misappropriation or embezzlement of funds of the organization. Malfeasance, misfeasance or nonfeasance in office. Such other grounds as set forth in Robert’s Rules of Order, revised. The Board hearing shall take place within thirty (30) days of receipt of the charges. The general membership shall be notified, in writing, at least ten (10)days prior to the Board Hearing. A vote of two-thirds (2/3) of the entire Board of Directors shall be required to support a charge. Upon the support of a charge by the Board of Directors, it shall present the charge to the general membership at a Special Meeting called for that purpose. The general membership may then vote the Officer, Trustee or Delegate out of office by a two-thirds (2/3)vote of those present and voting yea or nay. The Constitution may be amended by a two-step process. First: The amendment must have a two-thirds (2/3) majority of the voting members present at the Annual Membership Meeting or at a meeting called as provided by the By-Laws, on notice which shall set forth the proposed amendments. Second: Any amendment passing the first step shall be put forth to the general membership. A majority vote of the general membership voting by mail shall be required for this Constitution to be amended. All proposed amendments to this Constitution must be submitted in writing to the Secretary of the association no later than July 1st to be addressed at the Annual General Membership Meeting in October. Members are to be given notice fifteen (15) days prior to proposed additions, amendments and changes to the By-Laws. Such notice must specify exactly what is to be presented to the Board of Directors for the vote. A two-thirds (2/3) vote by the Board of Directors present is needed to pass and results of preceding, if any, take effect immediately thereafter. The Board of Directors or Trustees shall not vote to increase their basic annual personal expense allowance per session during the current term. If the Board of Directors or Trustees vote to increase their personal expense allowance per session for their next term, any increase shall not take effect without the approval by a majority vote of the general membership present at a General or Special Membership Meeting called for that purpose. The membership shall be given thirty (30) days written notice of such meeting with a copy of the proposal. There shall be a Board of Welfare Trustees (Trustees) comprised of nine (9) members, seven (7) elected for a term of two (2) years (effective June 2013). Elections shall be held in the month of June and each Trustee shall take office on July 1st. The President and First Vice-President shall be Trustees with the President acting as Chairman of the Board. The Board of Welfare Trustees (Trustees) shall report to the Board of Directors not less than once every three (3) months and to the general membership not less than once every six (6) months. Under no circumstances shall any other Officer or Delegate serve in any capacity as a member of the Board of Welfare Trustees (Trustees). No member may hold more than one of the following positions: Officer, Delegate or Trustee except as provided in Article XXXII. No member may simultaneously run for more than one of the following positions: Officer, Delegate or Trustee. This, however, does not bar a member holding such a position from running singularly for another position. The President, the Treasurer or a majority of the Board of Directors may demand an independent audit of the Security Benefit Fund at any time. At any time during the term of office of any Officer, Trustee or Delegate, any shall be subject to a recall election upon submission of a petition signed by fifty (50%) of the membership of the affected unit for Delegate and upon submission of a petition signed by five hundred (500) members for the recall election of an Officer or group of Officers or Trustee or group of Trustees. Such petition shall specifically identify the affected Delegate, Officer, or group of Officers or Trustee or group of Trustees by first and last name or names as appropriate. The original petition shall be presented to an Officer when the required number of signatures is achieved. An election shall be held within sixty (60) days of receipt of such petitions. It shall be conducted in the same manner as regularly scheduled elections. The Organization existing under these By-Laws shall be known as New York State Court Clerks Association. The object and purpose of the Organization are set forth in the Constitution. In the conduct of business, each Director, except the President, shall be entitled to one vote. The President shall be Chairman and shall vote only in case of a tie. The Board of Directors shall meet upon the request of half of its Members or on call of the president, but not less than six (6) times per annum. The authorization of the Board of Directors shall be required to authorize payment of expenditures in excess of Three Hundred Fifty Dollars ($350.00) for the conduct of the organization business. A revolving petty cash fund of $350.00 shall be afforded the President and kept under his supervision. Expenditures from the petty cash fund shall be reviewed by the Treasurer. The Secretary shall cause notice of meeting of the Board of Directors to be given to its member as directed by the President. The duties, responsibilities and conduct of the Officers, Directors, Committee Members and Members, shall be governed by the provisions of Roberts’ Rules of Order, Revised, except as may be otherwise provided for in the Constitution or By-Laws. Every Member shall furnish to the Secretary his name, title, grade, Court and County in which employed, together with address and business telephone number. The Board of Directors shall have the power to amend, delete, and add to these By-Laws. There shall be for the purposes of collective bargaining a committee representing each bargaining title in negotiations to be chosen by the Board of Directors, which committee shall make recommendations to the Board of Directors on proposed bargaining agreements. Membership in the Association is available to persons employed in appropriate titles of the Courts of the City of New York, as provided in Article IV of the Constitution. Each Officer shall be provided with a basic annual personal expense account as follows: President, $12,000, First Vice-President, $9,000, Second Vice-President, $8,000, each other Officer shall receive $6,500. These changes took effect 7/1/2009 Each Director shall receive $175.00 personal expenses per month. In no calendar year shall a Director receive more than $2,100. These changes take effect 7/1/2010. 1) This notice is being provided to all nonmembers who pay agency fees to the New York State Court Clerks Association under the collective bargaining agreement between the Office of Court Administration and the “Association”. As a non member represented by the “Association” you are being charged an agency fee which is equal to the regular dues paid by association members. This agency fee is in accordance with the provisions of the New York Public Employees “Fair Employment Act” (Taylor Law). The Association spends a portion of all fees collected from nonmembers on the following activities. The “Association” has determined that a portion of the expenses associated with these activities is chargeable to all nonmembers paying agency fees to the “Association”. Gathering information in preparation for the negotiation of collective bargaining agreements. Gathering information from employees concerning collective bargaining positions. Adjusting grievances pursuant to the provisions of collective bargaining agreements. Administration of ballot procedures on the ratification of negotiated agreements. The public advertising of the “Association’s” positions on the negotiations of, or provisions in, collective bargaining agreements. Lobbying for the negotiation, ratification or implementation of a collective bargaining agreement. Purchasing books, reports, and advance sheets used in (a) negotiating and administering collective bargaining agreements, (b) in processing grievances. 2) Paying technicians in labor law, economics and other subjects for services used (a) in negotiating and administering collective bargaining agreements, (b) in processing grievances. Membership meetings and conventions held to determine the positions of employees on collective bargaining issues, contract administration and other matters affecting wages, hours and working conditions. Publishing newspapers and newsletter which concern collective bargaining issues, contract administration and other matters affecting wages, hours and working conditions. Impasse procedures, including fact finding and mediation and arbitrations over provisions of collective bargaining agreements and administration thereof. The prosecution or defense of litigation or charges to obtain ratification, interpretation, or enforcement of collective bargaining agreements and to enforce guaranteed rights. The “Association” spends a portion of all fees collected from members and non members on the following activities. The “Association” had determined that a portion of the expenses associated with these activities is not chargeable to objecting non member agency fee payers. Lobbying for legislation or regulations or to effect changes in legislation or regulations before the state legislature not dealing with matters affecting pension, wages and working conditions. Membership meetings and conventions held for purposes other than to determine the positions of employees on collective bargaining issues, contract grievance administration or other matters affecting wages, hours and working conditions. Publishing newspapers and newsletters which concern subjects other than collective bargaining issues, contract administration and other matters affecting wages, hours and working conditions. Prosecution or defense of litigation or charges on matters other than the ratification, interpretation, or enforcement of collective bargaining agreements and other guaranteed rights. Supporting and contributing to charitable organizations. Supporting and contributing to political organizations and candidates for public office. Supporting and contributing to ideological causes. Applying these criteria to the activities of the New York State Court Clerks Association for the fiscal year, the “Association” has determined that 87% of the dues regularly charged to members of the association is chargeable to objecting nonmembers agency fee payers. This percentage is based on the following: the ration of chargeable expenses to total expenses as a percentage applies to income. This calculation will be effective until December 31. The “Association” has established the following procedure for nonmembers who object to the expenditure of a portion of their agency fees on activities that the “Association” has determined are non-chargeable and who want a rebate of that portion of their dues or fees spent on those activities. You must comply with these procedures in order to register an objection and receive a rebate. Non members who pay agency fees to the association and who wish to object to the expenditure of a portion of their fees on those activities and expenses that the association has determined are non-association must so inform the association in writing by certified mail. The written objection must include the objecting member’s name, address, social security number, title and work location. The written objection must be sent to the New York State Court Clerks Association at 170 Duane St., New York, N.Y. 10013, and postmarked no later than October 31. Upon receipt of the written objection the “Association” will deposit, to an escrow account set up for that purpose, a rebate equal to the differences between the fees collected from the objecting nonmember and that portion of the dues or fees found chargeable by the “Association” in accordance with the independently audited financial information. The fees will be calculated on a calendar year of January to December. 3) Any challenging agency fee payer who has not been subject to the agency fee deduction for a full calendar year will have the rebate prorated for the amount of time he/she has been subjected to the agency fee deduction. A demand to return that part of the agency fee not chargeable to members must be made to the Association Treasurer by registered or certified mail during the period between April 1 and April 15 of each year. Such demand shall be renewed each year in the same period in the same manner. The “Association” has established a procedure for individual nonmembers who pay agency fees and who wish to challenge the association’s calculation of chargeable versus nonchargeable expenses. You must comply with these procedures in order to challenge the calculation of chargeable versus nonchargeable expenses. Individual nonmembers agency fee payers who wish to challenge the calculation of chargeable versus nonchargeable expenses must inform the “Association” in writing by certified mail. The written challenge must include the challenger’s name, address, social security number, title and work location. The written challenge must be sent to the New York State Court Clerks Association at 170 Duane St., New York, N.Y. 10013, and postmarked no later than October 31. The “Association” has established an arbitration procedure for resolving challenges to the “Association’s” calculation of chargeable verses nonchargeable expenses. This procedure will result in an expenditious decision on the challenge by an impartial arbitrator selected by the American Arbitration Association or a like organization. All challenges to the above calculations will be consolidated into a single proceeding. The arbitrator will hold a hearing in which challenges can participate personally or through a representative. In this hearing the “Association” will have the burden of proof regarding the accuracy of the calculations. Upon receipt of a written challenge the “Association” will place an amount equal to the challenger’s agency fee in an escrow account set up for that purpose. If the challenging agency fee payer has not been subject to the agency fee deduction for a full calendar year he/she will have a prorated amount equal to the time he/she has been subject to the agency fee deduction. The agency fees will remain in escrow until the arbitration award issues and shall be distributed to the challenger and the “Association” pursuant to the arbitrator’s ruling.